New book – coming soon. At times it is amazing how long bits and pieces of projects lie about before they come together to make a book or an article. Back when I started to go through material while working on my first book (37th NCT), I started to find some great information related to the battle of Gettysburg. I photocopied many of these items, stuck them in a folder, and filed it away. I do this with many of my future projects. A good example would be the article I wrote on “Dixie” that was in Civil War Times a couple of years ago. Every time I come across some soldier that mentions singing the song, I copy it and put it in the folder. 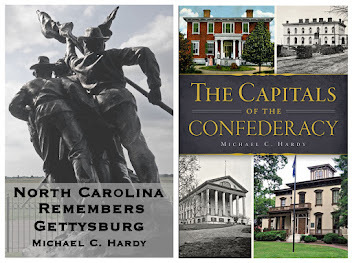 I’ve been collecting references to North Carolina and Gettysburg for almost 15 years. After finishing the project on the 58th North Carolina, I thought it might be a good time to get serious with the project. So I did. I started combing even more Tar Teel newspapers looking for mentions of Tar Heel soldiers and the battle. 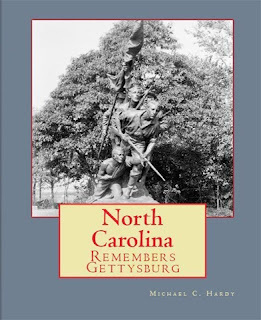 After collecting numerous first-hand reports, I looked them over and selected the best to include in a new book – North Carolina Remembers Gettysburg. This new work is being published by Ten Roads Publishing out of Gettysburg. Yes, I’ll be honest up front – there are many stories from members of the 26th, 11th, and 6th regiments. Those folks seemed to write a great deal about their experiences during the battle. 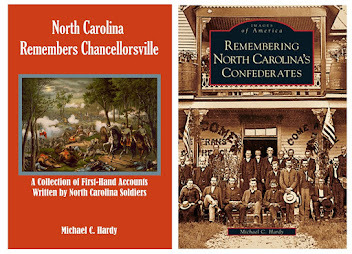 Of course, there are also other stories, from the 1st NC Cavalry, Reilly’s Battery, and the 37th NCT. All told, there are seventy-seven first person accounts, some written while the battle was going on, and others many years after the battle. I lightly edited the stories, trying to fill in whole names or at times, specific locations. But, this is their story, using their own words. I often say the same thing about my other books, like the ones on the 37th NCT and 58th NCT – it is the soldiers’ story, using, as much as possible, their words. My job is to tell you what is going on around them. Details about ordering North Carolina Remembers Gettysburg will be available soon – keep watching! A little off topic, but important nevertheless. Avery County, the place I call home, was created 100 years ago by the General Assembly. We are North Carolina’s last county! While the county was not here in the 1860s, the area is rich in Civil War history, like the Cranberry Iron Mines; the home of Col. John B. Palmer, burnt during a raid in June 1864; and, the final resting places of Keith and Malinda Blalock. I’ll be speaking about local history this morning at Cranberry Middle School, and then giving tours this afternoon at the Avery County Historical Museum in Newland. The Museum will be open from 10:00 am until 5:30 pm. If you are in the area, stop by and say hi! Time to look around the Old North State and see what’s going on. A very interesting article on slave and free blacks in the Winston-Salem area during the war. Check it out here. In Monroe, a marker for Black Confederates to go on the grounds beside the courthouse, where markers already exist for Confederate soldiers and Confederate women, was recently rejected. Check out this story here. A great little interview with Tom Vincent of the Department of Culture Resources can be found here. In the interview, Tom talks about his work of documenting North Carolina’s “Standing Soldiers”. Another interesting article on monuments, particularly “Silent Sam” on UNC – Chapel Hill’s campus, can be found here. However, the author believes that at the time of the war, slavery was a “unconstitutional practice”. Despite Thomas Jefferson’s proposal that slave be constitutionally prohibited, just the opposite was true. Information on the North Carolina town of Skyco (on the coast) and a small Union raid can be found here. DURHAM - A lecture, “Red Strings: Unionist Sentiment in Piedmont , North Carolina ,” presented by N.C. Division of State Historic Sites Assistant Education Curator Jeff Bockert, will commence on Feb. 26 at 2 p.m. It kicks off commemorative events at Duke Homestead State Historic Site. Light refreshments will be provided. Despite the state's allegiance to the Confederacy, some North Carolinians supported the United States actively by enlisting to fight for the Union . Other citizens deserted from or evaded enlistment into the Confederate army and questioned North Carolina 's sacrifices as a Confederate state. Strongholds of unionism existed across the state. Vicious clashes between these groups and Confederate authorities attracted both state and national attention. The program is the first in a series of events at Duke Homestead for the Civil War Sesquicentennial. Bockert will discuss the anti-secessionist political efforts during the antebellum period in the Piedmont . Duke Homestead is located at 2828 Duke Homestead Road , Durham , NC 27705 . For more info rmation call (919) 477-5498, or e-mail duke@ncdcr.gov. The site is open Tuesday through Saturday from 9 a.m.-5 p.m. It is closed to the public on Mondays and most major holidays. The mission of Duke Homestead State Historic Site is to preserve and interpret the history of the Washington Duke homestead and the North Carolina tobacco industry. I am one of those people who believes every soldier who fought in the Civil War, whether Confederate or Union, needs to have his grave marked. And over the course of time, I’ve been able to help mark quite a few of them. This past Saturday, I was in Blount County, Tennessee, with some friends, marking the grave of a member of the 58th North Carolina Troops: Elisha Gardner. 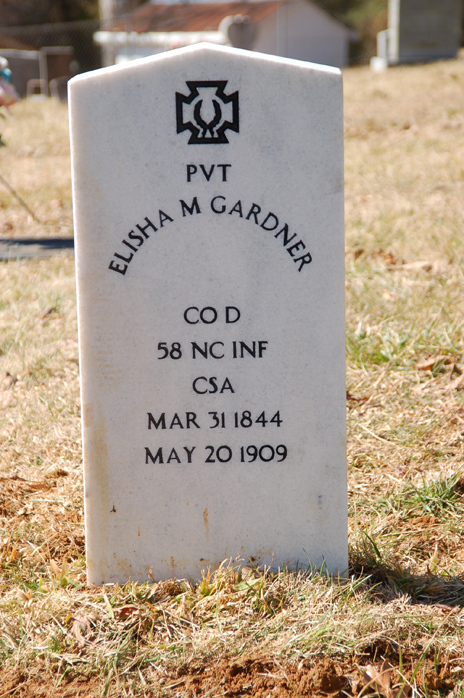 According to the North Carolina Troops roster, Elisha M. Gardner lived in Mitchell or Yancey County when he enlisted in Mitchell County at the age of 18 on May 17, 1862. On July 29, 1862, he was mustered in as a private in Company B, 58th North Carolina Troops. Gardner deserted at Bell’s Bridge, Tennessee, on July 24, 1863, and had returned to duty some time before December 31 of that year. At some point prior to August 31, 1864, Gardner transferred to Company D of the 58th regiment. Gardner was paroled on May 1, 1865. At some point, Gardner moved to east Tennessee, where he died on May 20, 1909. He is buried at the Chilhowee Primitive Baptist Church. As I walked around this old cemetery, I came across another interesting grave – that of another Tar Heel soldier. This was the grave of Pvt. Andrew Whitehead. This is what I found in his compiled service records: Born in Carter County, Tennessee. Enlisted June 15, 1864, in Elizabethon, Tennessee. Mustered in as private in Company A, 3rd North Carolina Mounted Infantry. Whitehead was 19 years old, six foot, two inches, with yellow eyes and light hair. On September 16, 1864, while stationed at Bulls Gap, Tennessee, he was declared absent without leave. In February 1865, he was charged for one “Ballard Rifle and Equipment – one Knapsack one Haversack and one Canteen.” Whitehead returned to his regiment on April 30, 1865, and was discharged on August 8, 1865. At some point, Whitehead, like Gardner, moved from his home and settled in the Chilhowee area. So there they were, two veterans, one who wore the blue and another who wore the gray, buried in the same cemetery and on the same hill, about 30 or so feet apart. I wonder what homecoming Sundays were like…..
RALEIGH – The American Civil War wrought great hardship upon the state and nation. North Carolina suffered at least 35,000 deaths, one-quarter of all Confederates lost, and felt more than its share of pain. 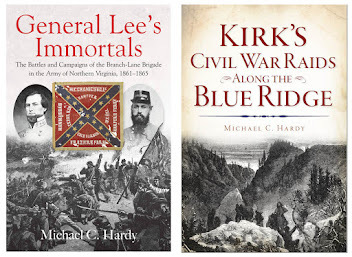 The nation and state survived the war years, 1861-1865, but at great price. 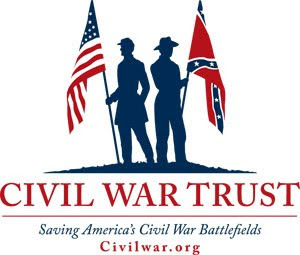 In observance of the Civil War sesquicentennial (www.nccivilwar150.com) the N.C. Department of Cultural Resources (www.ncculture.com) has planned more than 200 events statewide. Sesquicentennial programs will examine the roles of women, Cherokee, U.S. Colored Troops and more. The impact of the war on home life, sickness and mortality, battles on land and sea, Civil War music, and freedman’s colonies are among topics that will be explored. In April, the “Freedom, Sacrifice, Memory: The Sesquicentennial of the Civil War Photography Exhibit” begins touring the state, starting with Fayetteville in the east and West Jefferson in the west. The images of soldiers in combat, women helping the war effort and African Americans seeking freedom are all encompassed in the exhibit that will visit 50 libraries and four museums statewide through spring 2013. Images from the State Archives, the N.C. Museum of History collection, and photographs of contemporary Civil War re-enactments at historic sites will offer a broad look at that tumultuous time. The first of three significant conferences of the sesquicentennial will be on the theme “Memory” on May 20 at the N.C. Museum of History in Raleigh ; it will examine literature, historiography, statuary and other legacies. Attention turns to “Freedom” for the second panel at Wake Forest University in Winston-Salem in 2013, timed to coincide with the anniversary of the Emancipation Proclamation. A final symposium in 2015 at the University of North Carolina at Wilmington will examine “Sacrifice” in the anniversary year of the fall of Fort Fisher , Sherman ’s March and the close of the war. 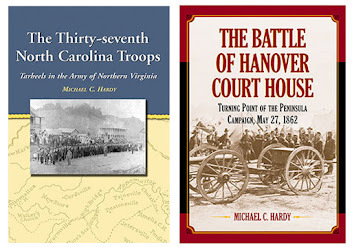 The Historical Publications Section (www.ncpublications.com) in April will publish Volume 18 of the North Carolina Roster of the Civil War, covering the Senior Reserves. 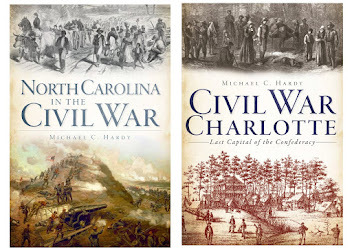 The North Carolina Civil War Atlas, to be published in fall 2014, is a comprehensive study of the total number of North Carolinians to serve in the Civil War, deaths, the price of materials, maps, military campaigns and more. For additional info rmation call (919) 807-7389. North Carolina will examine the Civil War objectively and comprehensively, and invites citizens to participate in the reflection and conversations in their own communities. The N.C. Department of Cultural Resources is the state agency with the mission to enrich lives and communities, and the vision to harness the state’s cultural resources to build North Carolina ’s social, cultural and economic future. Information on Cultural Resources is available 24/7 at www.ncculture.com. 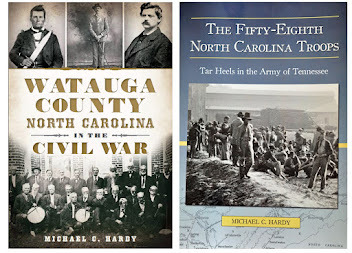 Well, it’s been a while since we looked at a North Carolina county and the War. For this post, I chose Robeson County, simply because someone emailed me a couple of days ago asking about what happened in Robeson County. I hope you enjoy. Created from Bladen County in 1787, Robeson County was named for Col. Thomas Robeson, a Revolutionary War patriot. The county seat, Lumberton, was chartered in 1788 and named for the local Lumber River. Much of the history of the area is tied to the Lumbee Indians, who inhabited the area prior to European contact. In 1860, Robeson County had a population on 15,489, including 1,450 Indians and free persons of color, and 5,456 slaves. In the 1860 presidential elections, white Robeson County men cast 720 votes for Breckinridge, 648 for Bell, and 134 for Douglas. A few weeks later, many of those same men gathered to cast ballots on the question of calling a convention to consider the secession of North Carolina. There were 490 for calling the convention, while 871 were opposed. The Union men of the county met on February 16, 1861, and elected two Union men for the proposed convention: T. A. Norment and Col. T. J. Morisey. When the convention was finally called in May 1861, John Powell Fuller and John C. Sutherland, who had ran against Norment and Morisey and who both who were considered “red hot secessionists,” were elected to represent the county at the convention. Just what brought about this change, from voting against the convention to electing two “red hot secessionists” is unclear. On January 1, 1861, there was a large Union meeting held at the court house in Lumberton. A pro-Union set of resolutions was adopted, and 33 guns fired in honor of the Union. A second pro-Union meeting was held on January 11 in Howellsville, and a third followed at St. Paul’s on January 19, and again in Lumberton on February 16. However, on April 20, 1861, possibly in response to the firing on of Fort Sumter and Lincoln’s call for troops, another public meeting was held at the court house in Lumberton. At this meeting, Unionist T. A. Norment remarked that “ he had often pleaded in behalf of the Union, and that the awful calamity of civil war might never fall upon his country, but at the same time that he told them these things, he also stated that his party were totally and unequivocally opposed to coercion, and that if the government should attempt oppression in that form, or in any other, that the Union men of North Carolina, so far from being found in the back ground, would be in the foremost ranks of the contest, willing to die if need be for the honor and safety of the State…” A few days later, Richard Norment was leading a group of 80 men to Raleigh to volunteer for state service. Fuller was born in Robeson County in 1834, and was a graduate of Randolph-Macon College in 1856, and two years later earned his license to practice law. During the war, Fuller worked for a time for the Treasury Department. After the war, he moved first to St. Louis, Missouri, and then to New Orleans, where he died in 1868. Sutherland was born in Robeson County in 1815, and spent a large portion of his life as an educator. His estate and personal papers were burnt by Sherman in 1865. 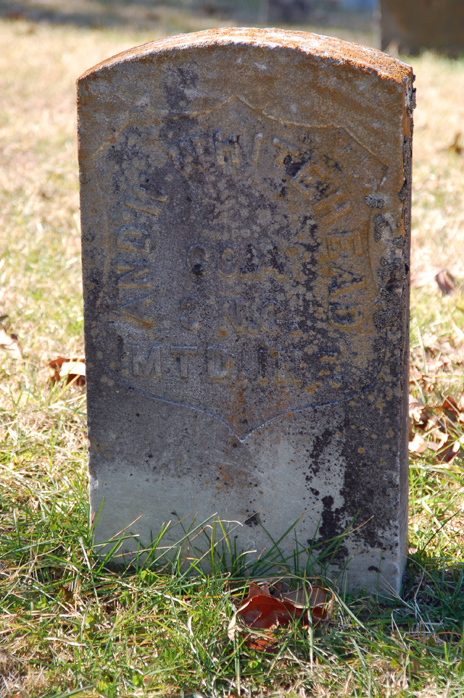 Sutherland died in 1881 in Maxton. Several companies went out of Robeson County. They include Battery E, 3rd North Carolina Artillery; 1st Company D, 12th North Carolina State Troops; Company D, 18th North Carolina Troops; Company G, 24th North Carolina Troops; Company A, 31st North Carolina Troops; Company A, 64th North Carolina Troops; Company B, 50th North Carolina Troops; Companies D, E, and F, 51st North Carolina Troops; Company I, 3rd North Carolina Junior Reserves; and, Company C, 7th Battalion North Carolina Junior Reserves. On March 3, 1865, Allen Lowry and his son William were tried in a hastily organized sham court, declared guilty of theft, and executed in Robeson County. While William was almost certainly a member — and perhaps even the leader—of a gang that committed robberies, it is unlikely that the elderly Allen was involved in any raids. What is certain is that the two men’s deaths sparked North Carolina’s famous Lowry War, a seven-year period of raids, robberies, and murders. After the outbreak of the Civil War, many Lumbee Indians living in Robeson County were conscripted to work on the construction of Fort Fisher. To avoid forced labor and the Confederate Home Guard conscription officers charged with enforcing it, many Lumbee men camped in the woods and swamps near their homes and depended on friends and relatives for subsistence. For a community already facing desperate times, this practice, known as “laying out,” was taxing. By December 1864, the riches of their more affluent neighbors became too tempting for four of Allen Lowry’s sons and they stole two hogs from wealthy slaveholder James P. Barnes. Several months of local troubles followed this theft. Barnes suspected the Lowrys, and when he attempted to have them captured, he was shot by a gang that included at least two Lowry brothers. In January 1865, the Lowrys killed J. Brantly Harriss, a local man who had murdered three of their cousins. They also raided the Robeson County Courthouse, stealing guns and ammunition which were then used in a series of February raids against the area’s rich planters. One journalist wrote that “[f]rom a thicket near at hand Henry Berry, the son of Allen Lowery, saw the volley fired which laid his brother and father bleeding on the ground. There he swore eternal vengeance against the perpetrators of the act.” Thus, not only did the executions fail to stop the raids, but they served to further exacerbate local tensions and made the Lowrys determined to get revenge upon the prominent persons that had wronged their family and community. 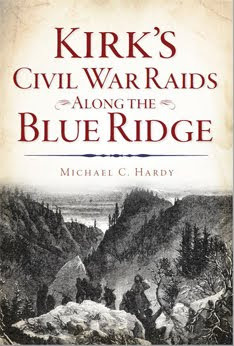 After the Civil War ended, Henry made raids a constant part of local life, organizing a small band of men and coordinating their attacks on local plantations. For years these “swamp outlaws” stole from the wealthy, evaded prosecution, and killed law enforcement officers that tried to arrest them. During what came to be called the “Lowry War,” the band carefully directed their actions toward the community’s more affluent citizens. This earned them popularity and Robin Hood-like reputations among the area’s poorer citizens. The stories surrounding Henry Berry Lowry’s fate range from the plausible to the incredible. Among the claims are that he died of a gun-shot wound; drowned; faked his own death; or was smuggled out of the area in a tool box. At least one report claimed that he fled to South America; another said that he escaped to the northwest and led the Modoc Indians in their 1872-1873 war against the federal government in Oregon. Still others claimed that he never left the area. As late as 1937 Lowry’s great-nephew, Dr. Earl C. Lowry, claimed that his uncle was still alive. Although his ultimate fate is unknown, the legend of Henry Berry Lowry and his band of outlaws has never died. They became folk heroes, with one journalist in 1872 calling them “the Rob Roys and Robin Hoods” of Robeson County. Lowry’s influence continues today: the Lumbee community’s highest honor is named for him, several novels and plays have been written about his exploits, and since 1976 a musical drama entitled Strike at the Wind! has been performed in Robeson County every summer. Some of General Sherman’s men visited the area on March 9, 1865, with orders to burn all bridges and railroad property in Lumberton. After the war, there was a United Confederate Veterans camp in Robeson County – the R. F. Hoke Camp 1241, with T. F. Toon and J. H. Morrison as commander and adjutant. In 1907, the county erected a monument to local Confederate soldiers on the courthouse grounds. Here is our next set of 20 questions from Bruce Long. How many can you get? 1. How many companies were formed on 30-31 May 1861, prior to North Carolina seceding from the United States? 2. Who was the highest ranking Confederate officer that lived in Camden prior to the outbreak of the war? 3. How many soldiers from companies formed in Camden were captured at the battle of Hatteras Inlet? 5. What was Capt. Granville Gratiott Luke's occupation prior to commanding one of the three original companies raised in Camden? 6. Which Jonesboro Guards officer wrote a diary while imprisoned at Governor's Island and Fort Warren? 8. When was the battle of South Mills fought? 9. Who commanded the Union troops at the battle of South Mills? 10. Who commanded the Confederate forces at the battle of South Mills? 11. Who won a Congressional Medal of Honor for their actions at the battle of South Mills? 12. Where did 3000-4000 Union soldiers wade ashore from transports in the Pasquotank River prior to marching to the battle of South Mills? 13. What company formed in Camden fought in the battle of Gettysburg? 14. What Union company was formed in lower Camden County on 10 August 1863? 15. Who commanded the North Carolina Partisan Ranger company formed in Camden on 7 July 1863? 16. What expedition freed slaves, recruited soldiers, and hunted for guerrillas between 5 December and 24 December 1863? 17. After the skirmish at Sandy Hook on 18 December 1863, where did the guerrillas retreat to? Bonus: How many stop lights are there in Camden County?